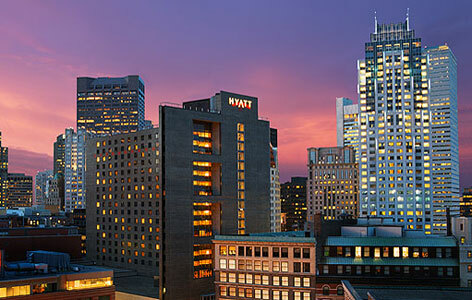 With the best of Boston at its doorstep, Hyatt Regency Boston is a natural choice for incentive groups. But the 498-room hotel’s 30,000 square feet of event space, business-savvy amenities, and state-of-the-art technology make it a natural for productive meetings as well. On-site audiovisual experts and personalized catering options, Wi-Fi access throughout the hotel, and a comprehensive business center help meeting professionals plan with confidence. Guest comfort is also a lock, given guest rooms with seating areas and city views and amenities like Hyatt’s Grand Bed, flat-screen TVs, and evening turndown service. The Freedom Trail, Faneuil Hall, Fenway Park, theater district, and museums await exploration within minutes of the hotel. Macy’s department connects to the hotel for an even shorter walk. Guests at leisure may also take advantage of the on-site spa and eucalyptus steam room, indoor pool, and round-the-clock Stay Fit gym. I have used this hotel once a year for a few years. They make booking easy and do a good job. Nothing earth shattering, but steady, reliable and fairly priced.